Dylgjeri (2017: 21-22) people perform various actions through the use of words and when utterances are made, a particular act is performed; this is called Speech act. The Speech Acts theory is also described as “How to Do Things with Words Theory” since it has its roots in the work of Austin (1962) and Searle (1969). They are able to provide a shift from constative notion to performative notion in the empirical verifiability of signs; that is, the truthfulness of signs to what an expression does when it is uttered. Speech acts according to Austin (1962) fall into three classes, which are: locutionary, illocutionary and perlocutionary acts. A locutionary act is an act of saying something; that is, the act of producing an utterance. Illocutionary acts are the core of any theory of speech acts. The perculotionary act is the effect or influence on the feelings, thoughts or actions of the listener/hearer unlike locutionary acts. Perlocutionary acts could be inspiring, persuading, consoling, promising, encouraging etc. It brings about an effect upon the beliefs, attitudes or behaviours of the addressee. Assertives: These are statements that describe a state of affairs in the world which could be true or false. They commit a speaker to the truth of the expressed proposition. Directives: These are statements that compel or make another person’s action fit the propositional element. It is usually used to give order thereby causing the hearer to take a particular action, request, command or advice. Commisives: These statements commit the speaker to certain future action. It could be in the form of a promise. Expressives: The purpose of expressive statements is to express sincerity of the speech act like excuses and sympathy. Declaratives: These statements are used to say something and make it so, such as pronouncing someone guilty and declaring a war. 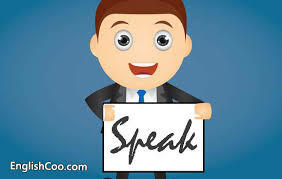 The application of the Speech Act theory in the analysis will allow in depth research into the linguistic features that have been explored by the speaker to inculcate meaning into the formal linguistic properties of the selected speech. Belum ada tanggapan untuk "Concept of Speech Act"